Market Weather Advantage Plus is our most popular weather service product and it is designed to provide a daily (6 days per week), two-week weather outlook for every major agricultural region in the world. The forecast includes South America, India, Australia, the United States, Europe, the Former Soviet Union (Commonwealth of Independent States) Africa, China, Indonesia, Malaysia and many other areas. In addition to the daily forecast, the subscriber gets access to our live weather website which contains daily, weekly and monthly precipitation maps, soil moisture imagery for the world, percentage of normal rainfall maps, soil temperature maps and daily temperature imagery. 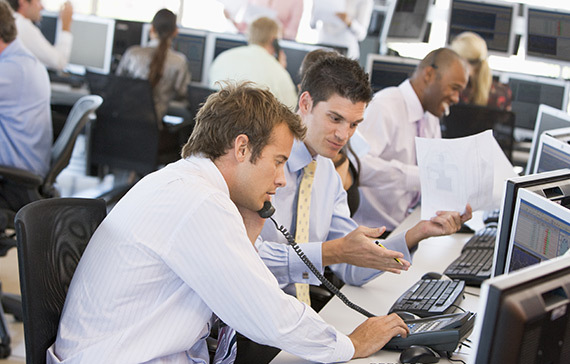 Computer forecast model updates are provided three times per day to help day traders determine commodity futures market direction for the early morning, late morning and evening trade. Market Weather Advantage Plus is designed to support producers, traders, merchandisers, shippers and food companies in their need to profit from changing weather conditions and potential agricultural production issues. The knowledge of these potential changes will help subscribers complete successful market trades and/or to be adequately prepared for changes in supply and demand. Changing weather conditions in each of the major agricultural areas in the world have a direct influence on both the cash and futures prices of many commodities. In an average year weather will lead speculative market trade multiple times and quite often rumors about the weather in the market can create great confusion in the direction of future supply and that impacts future prices, as well. World Weather, Inc. promises its customers to clarify the changing conditions so that better business decisions can be made to save money. One of the greatest values that subscribers will find to this service is the detailed coverage of major weather events that will seriously change crop conditions, production potentials and/or disrupt the transport of raw and finished goods moving to storage and/or processing facilities. These special situation articles are written to provide the subscriber with detailed information about the potential for significantly anomalous weather events such as, unusually late or early frost and freeze events, tropical cyclones, excessive rain events or severe weather events both in the summer and winter environments. Our long range, seasonal, weather forecasts provide added insight to future conditions and their potential impact on the agriculture, energy and shipping industries. We also provide routine updates on significant weather phenomenon like El Nino, La Nina, Arctic Oscillation, North Atlantic Oscillation, Pacific Decadal Oscillation, Madden Julian Oscillation and Indian Ocean Dipole. Market Weather Advantage Plus is an email and web access service. Most of the daily information is transmitted via email, but subscribers have the option to receive pertinent weather information through an emails only service, a website only service or through a combination of both for no difference in subscription fees. The service is sometimes combined with our telephone consultation services to provide additional insight in daily forecast changes and to get a personal touch from a meteorologist to help clarify weather pattern changes and their potential impact on production and possible market trade. World Weather, Inc. has over 50 years of combined forecasting experience internationally. Our experience and knowledge of the impacts of weather on most industries puts us well ahead of the competition. The experience also helps tremendously in providing the most accurate weather predictions possible. None of the World Weather, Inc. staff is allowed to trade commodity futures keeping our forecasts totally unbiased giving subscribers the best possible outlook based purely on weather conditions with no influence from market positions or daily changes in market valuations. Click on subscription to subscribe to Market Weather Advantage Plus or to get a free trial to the service.